Below are the results of the Asia Cup that started in 1984 in Sharjah. As you can see India has most wins and they are the current Champions of the Asia Cup Tournament. Pakistan has won only once. If I am not mistaken, India did not play that tournament. The squads have been announced and preparation is underway. Dhoni, Jayawardene and Misbah has been named as captains of India, Sri Lanka and Pakistan. For some reason the host team has not announced their team yet, hence their captain’s photo is not being published above. 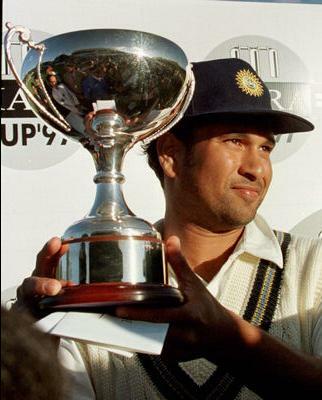 I would like the Indian bloggers to comment on the Indian team for the Asia Cup which still has Tendulkar in the team despite all the criticism that he got but, he is determined to play and perhaps he might score that 100th 100 this time. Each time he plays there is the same question and same expectation, whether he will do it this time or not? Apart from him, this time both Pathan brothers are in the team and two Sharmas are in the team as well. Whether Dhoni’s blue eyed boy Ravindra Jadeja should have been in the squad or not is a debatable point. Jayawardene has been retained as Sri Lankan captain very rightly so because, he carries a lot of experience and also because of the way he played the last qualifying match against Australia and won that crucial match while led to the exit of Indian team from the CB series. I hope Misbah ul Haq has watched his aggressive field placement and attacking the Australian with whatever limited bowling resources he had in that match due to two injuries to his front line and inform bowlers Mathews and Parera. 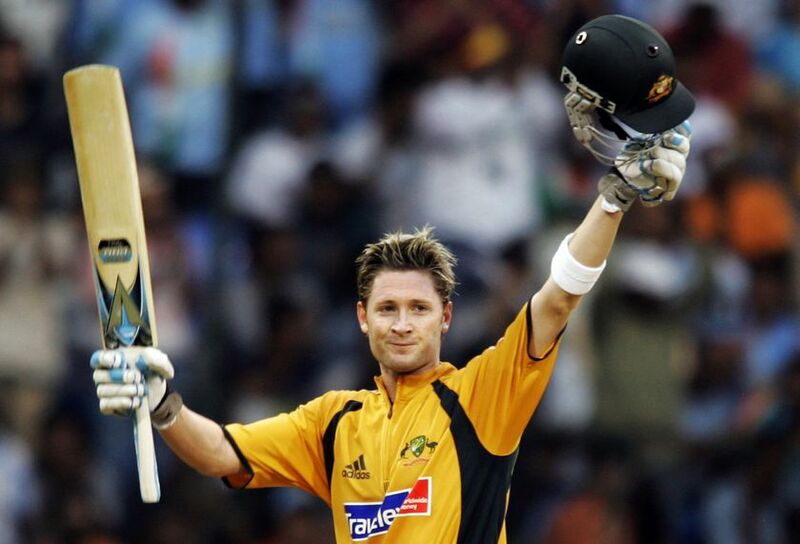 He successfully defended a total of 238 which was not a big one at the MCG. Retaining Misbah ul Haq as captain of the team by the PCB and the selectors has raised many eyebrows and it is yet another example of off the cuff management decisions which are lacking in professionalism. Iqbal Qasim as more interested in bringing Sarfaraz Ahmad into the team and the first thing he did was to replace Adnan Akmal with Sarfaraz. In my opinion Sarfaraz is not suitable for international matches, time and again he has failed with the bat and his keeping is nothing to write home about. I don’t see any spark in him. With Misbah, Younus Khan and Asad Shafiq in the middle order, the selection of Azhar Ali — who is more suitable for test cricket — is absolutely needless. How many “tuk-tuk” players you need in the team? The opening conundrum will continue because, they will play Hafeez and Nasir Jamshed. Hafeez has time and again said that he doesn’t want to open the innings but, no one is paying any heed to the Professor’s rants. And, Nasir Jamshed, I don’t understand the basis of his selection. Ahmad Shahzad who is in very good form at the domestic level and at the BPL should have been selected. Similarly Mohammad Sami has also shown a lot of form at the domestic level as well as in the BPL he was ignored because the quota was full. Cheema cannot be dropped because of cronyism and one can only say thank God, Malik and Farhat are not in the squad but, Nasir Jamshed, Sarfaraz, Cheema does not deserve to be in the team on merit basis. They are clearly sifarishi players and this is the irony of Pakistan cricket that selection is never fair. Even the choice of batting order is pathetic. Misbah does not know how to use his batsmen or even his bowler, he is clueless when it comes to field placement. I am not saying Pakistan will lose based on the statistics and records but, the available resources in the country have not be properly used and whatever the given resources are i.e., from the squad, they will not use them properly. There is no strategy, there is no game plan. The question of plan A and plan B does not exist. Everything is being dumped on the new coach Dav Whatmore as if he is the Fairy God Mother with a magic wand and turn Misbah from 37 to 17 years old and give him fresh legs and a cricket bat from Mars that even he blocks the ball races down to the ropes for a four. There is no such thing as complacency. When the Pak team won the test series 3-0 against England, they were over the moon that they white washed the number one test team in the world 3-0. If you analyze the 3 test matches carefully, only in one test Pakistan played well and deserved to win and in the other 2 matches England played very badly. Their openers and the top order miserably failed against the magical spin of Ajmal and Abdur Rahman. You cannot win ALL your matches on the strength of your spinners.If that was possible, India always had the best spinners in the world from the times of Subash Gupte, Bapu Nadkarni, Chandrashekhar, Prasanna, Bedi, Venkataraghavan even Kumble and Harbhajan but, they never won ALL the matches. The team has to be balanced in ALL departments. If you take a look at the Pakistan team, the main weakness you see is the inconsistency right from the openers to the tail-enders and from fast bowlers to the spinners, there is sporadic brilliance and then there is disgustipatingly pathetic performance. In one way you can say, their inconsistency is very consistent. There is no Javed Miandad or Inzamam in the middle order who can play anchor roles. There is no Saeed Anwar who can give a flying start not just for 20 odd runs but, for a long sustainable period of time to give a respectability to the total. The current team Pakistan when they get out cheaply there is a slide and there is no stopping it looks like they behave like a herd no one bothers to play positive cricket. Either there are sixes and fours or there is tuk tuk and negative cricket and the end result is always a defeat. Pakistani batsmen should learn to rotate the strike as much as possible and try to make 5-6 runs per over even with singles and twos and no need for sixes and fours i.e., if the conditions do not allow them to play big shots. But, they need to learn how to create placement shots instead of hitting them into the hands of the fielders. Writing, to me, is simply thinking through my fingers says. Isaac Asimov. And for me it is like hitting the keyboard randomly to make some sense out of my blabbering.